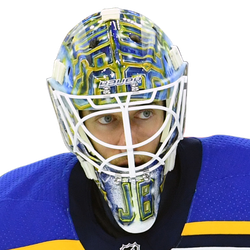 Alex Pietrangelo scored the go-ahead goal with 52 seconds remaining as the visiting St. Louis Blues used a late two-goal flurry to earn a 5-4 victory over the Anaheim Ducks. Pietrangelo took a shot that rebounded off the skate of the Ducks' Adam Henrique and past goalie John Gibson for his 12th tally of the season. Robert Thomas scored two goals for the Blues, including the game-tying goal 12 seconds before Pietrangelo delivered his game-winner. St. Louis' Brayden Schenn made an impact immediately upon his return from injury, contributing a goal and an assist. Ryan O'Reilly also scored for the Blues, who ended a two-game losing streak in the opener of a three-game trip through California. Nick Ritchie, Rickard Rakell, Jaycob Megna and Henrique all scored for the Ducks, who saw a two-game winning streak against teams fighting for playoff eligibility come to an end. The Ducks defeated the Colorado Avalanche and Arizona Coyotes in recent days. After missing the previous six games because of an upper-body injury, Schenn needed all of eight minutes to make his presence known, scoring his 12th goal of the season on the power play. The goal tied the score 1-1. Schenn was at it again at 15:55 of the opening period when his screen out front on Gibson helped O'Reilly's shot from the right circle to find the top right corner of the net for a 2-1 lead. When Schenn was injured Feb. 19 against the Toronto Maple Leafs, it was the final game of the Blues' 11-game winning streak that moved them solidly into playoff contention. In the six games without him, they were just 2-3-1. The victory improved the Blues' hold on third place in the Central Division with 76 points, three ahead of the fourth-place Dallas Stars, who are the leaders in the wild-card chase. The Ducks jumped out to the early lead when Ritchie scored his ninth of the season 5:28 into the game. 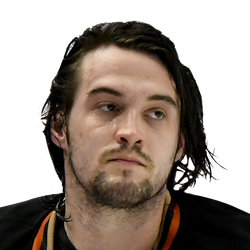 With Anaheim trailing 3-1, Rakell, Megna and Henrique all scored in succession giving the Ducks a 4-3 lead with just under 15 minutes remaining. It was a rare scoring outburst for a Ducks team that entered with an NHL-low 2.2 goals per game and was also last in the league with an average of 27.8 shots on goal per game. It was just the third time since Jan. 13 the Ducks scored four or more goals in a game.